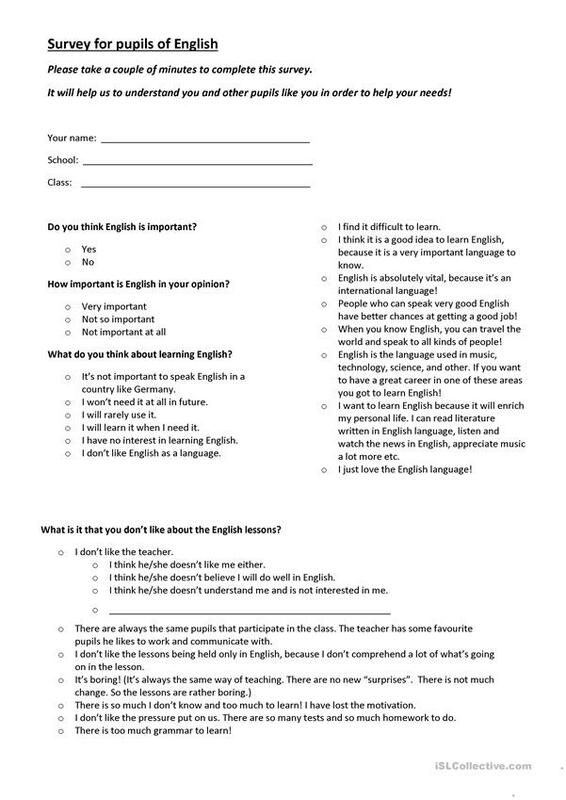 A questionnaire for pupils. 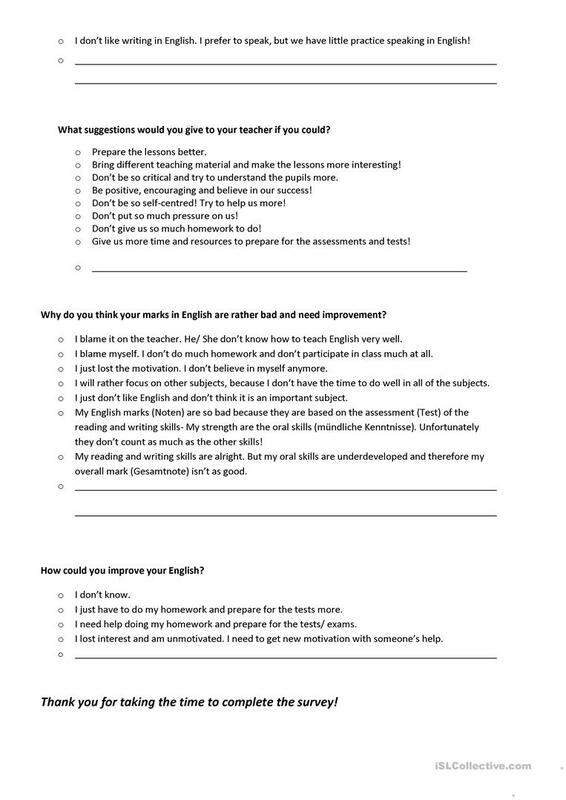 Pupils who have English lessons at school, tell how they find the teacher, the class, the lessons etc. to give the tutor of English an insight where the student "stands". This can help the ESL teacher to know more about the student's attitude and the reasons behind it in order to help more specifically. The present downloadable worksheet is meant for high school students, elementary school students and adults at Pre-intermediate (A2) and Intermediate (B1) level. It was designed for honing your students' Reading and Writing skills. Thank you for all your work and shared docs! Hope I can contribute in near future to this wealth of resources, too! May God bless everyone and have fun teaching!